This pack of 20 glow in the dark stars and shapes are ideal for decorating bedrooms and classrooms. Give your childs bedroom a funky outer space glow! 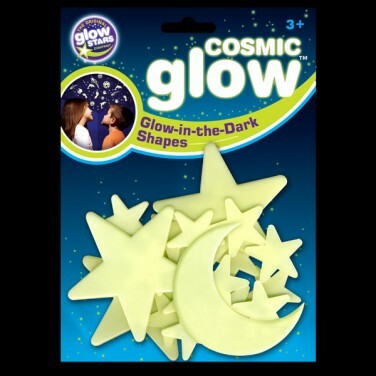 Stick these Cosmic glow in the dark shapes onto bedroom walls, ceiling or even on the bed.